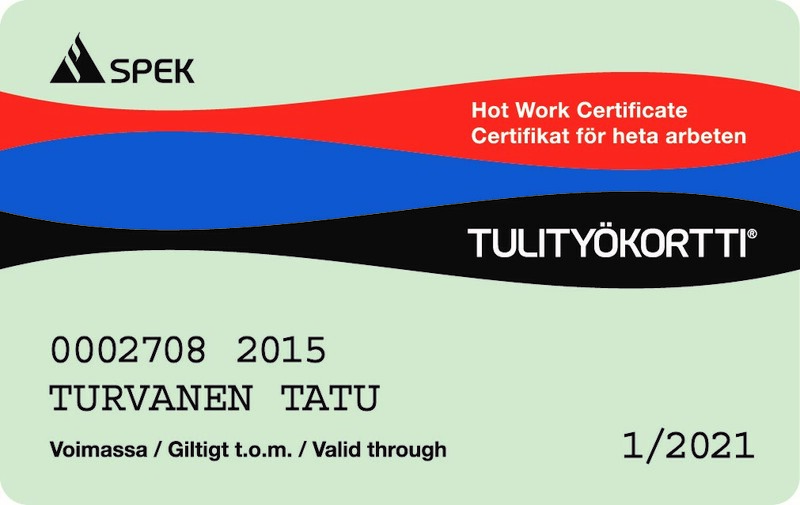 Hot work training is required for Hot work licence in Finland, Sweden, Norway and Denmark. Person who supervises hot work activities, grants hot work permits, or performs hot work on temporary hot work site, must have a valid hot work license. Hot work license can be obtained through one day Hot work licence training. This is (also) required by insurance companies. Hot work training in Finland began in 1988. Back then nearly 40% of all the fires that took place in the country were initiated from Hot work. 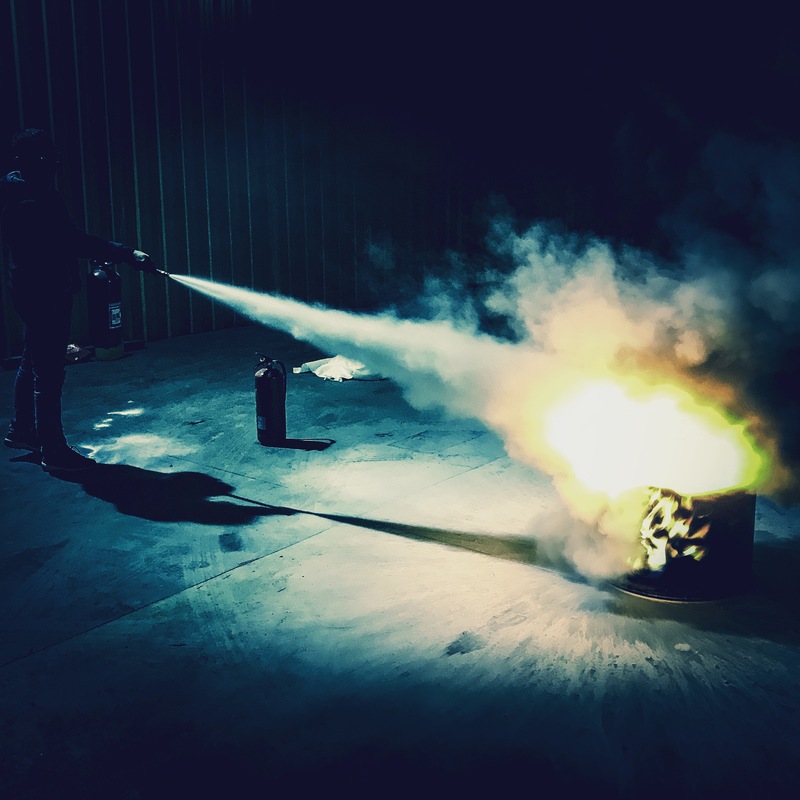 With successful introduction of the Hot work safety procedure and by following the procedure, the amount of Hot work related fires has decreased significantly. Nowadays Hot work fires present approximately 5 % of all the fires. Hot work licence training is a one day training with theoretical aspects eg. on fire hazards, fire prevention, duties and responsobilities. At the end of the day there is a exam and an initial fire extinguishing practice. Hot work procedure is simply about knowing the risks and acting accordingly. After risk evaluation (including e.g inspection of premises, construction materials, gas testing, sprinklers, detectors etc.) , the hot work area is cleaned and all sources of flammables are either removed or then protected. Area could also be watered, when possible (as an example, when working outdoors). Suitable fire extinguishers will be brought to the site and hot work guarding is ongoing the whole duration of the work. After these preparations hot work permit can be signed by permit issuer and hot work operation can begin. After the work is completed it is still necessary to continue hot work guarding at least one hour. We arrange hot work license trainings according to your needs for groups (minimum invoicing/ training 9 persons). We have organized + 700 Hot work license trainings.